[PDF] Integrative Cardiology | Free eBooks Download - EBOOKEE! 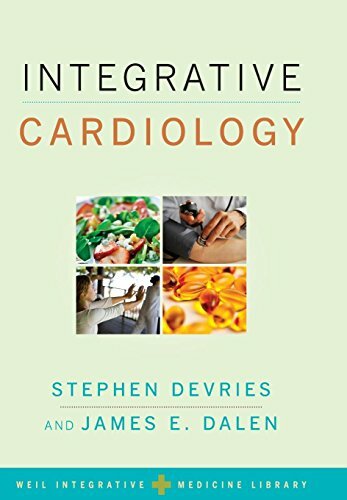 Description: A new volume in the Weil Integrative Medicine Library, a groundbreaking series under the general editorship of Dr. Andrew Weil, Integrative Cardiology offers a new and much-needed perspective in cardiac care and prevention, blending conventional medicine with alternative approaches not typically part of the Western medical curriculum. This unique perspective highlights specific gaps in conventional heart care, and examines how alternative approaches may be ideally suited to address these missed opportunities. The book introduces topics not typically addressed in conventional cardiology texts including: nutritional therapies, exercise, botanicals, mind/body approaches, spirituality, aspirin, metabolic cardiology, acupuncture, and energy medicine. The focus of this work is on prevention and it recommends an approach that emphasizes the collaboration of the patient and health care providerâ€”both seeking to obtain the best possible outcome taking into account the intangible, but vital, nuances of the patient's culture, beliefs, and preferences. The contributors, all of whom have a background in academic medicine, share the approaches that they have found most effective in their own practices, basing their work on the best scientific evidence available. No comments for "[PDF] Integrative Cardiology".